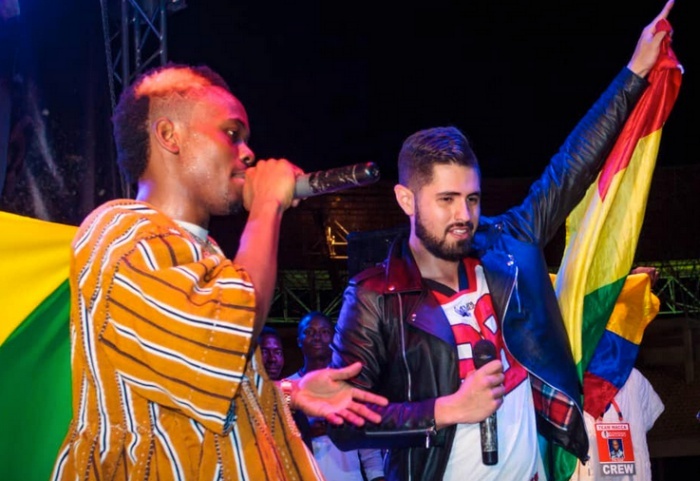 Popular Tamale rapper Macassio is known for pulling big crowds in his hometown but when he teamed up with Colombian rapper Mc Dementor for in concert on March 31, there was more magic at the Aliu Mahama sports stadium. 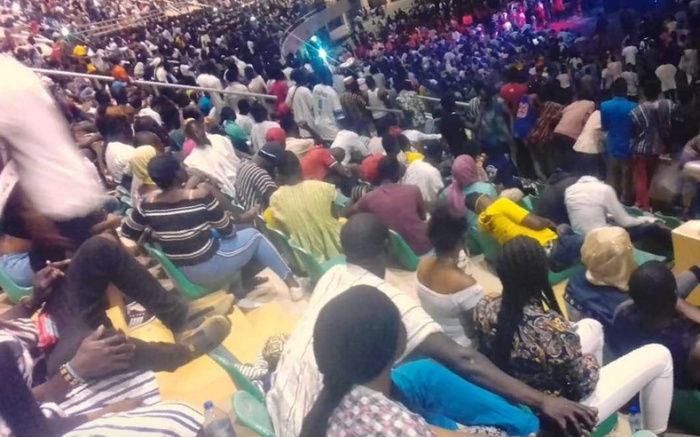 According to unconfirmed reports Tamale stadium concert saw over 50,000 people attending. This was a very unusual number in attendance since the concert was a paid for concert. Macassio said in an interview that he was amazed at the attendance and although he was expecting high number in attendance, he couldn’t believe his eyes seeing such a mammoth crowd at the concert. Hours before the historic concert, Macassio together with a huge crowd welcomed Mc Dementor to Tamale and took him round to show him the city and also introduce MC Dementor to the chief. Mc Dementor becomes the first and only Colombian and South American artist to pull such crowd on a concert in any African country. At the concert Macassio and Mc Dementor wowed the crowd with great chemistry as they performed together and delivered powerful and motivational speech to the people of northern. Mc Dementor(born Andres Eduardo Martinez Rodriguez) is a Colombian rapper, singer and music manager. He was born and raised in a mid class neighborhood in the city of Bogota, Colombia . MC Dementor begun to play on rock concerts with his rock band singing and playing the bass guitar,. They had several tours all around Colombia and South America during the period 2005 to 2010. In 2010 he finally separated from his band and decided to go solo and go back to the streets and rap because that was what he enjoyed doing more. He later recorded his first solo single titled King Kong in May 2010, which peaked number 3 in Colombia, making him the first, rap artiste and rap song to be in the top 5 chart which is mainly and mostly regaetton dominated. This earned him a performance with rap legend Kurtis Blow on Quito stadium early 2012. He followed up with a remix featuring label mate Decordha and Hoodie.